1961 specification reassurance marker. Manufactured between 1964 and 1966. 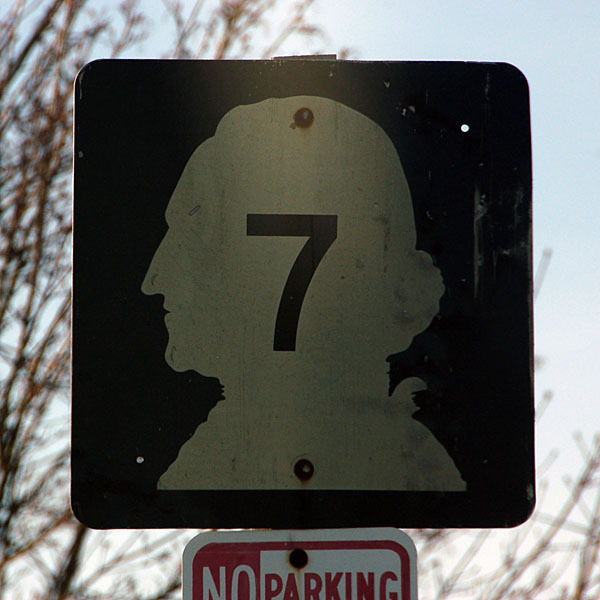 This shield, on a long-bypassed alignment of Washington 7, dates to the renumbering of 1964. Photo by Jake Bear and Daniel Brim, 3/14/2010.